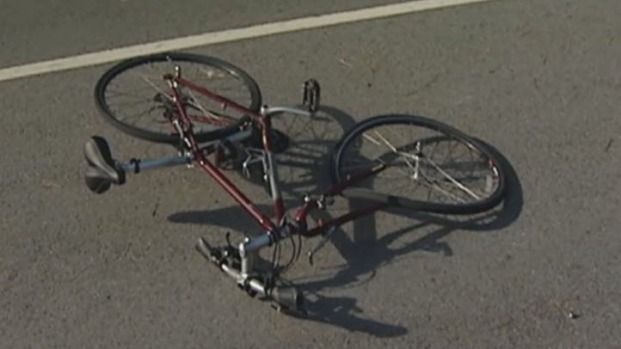 Two bicyclists were killed just hours apart in separate hit-and-run crashes late Wednesday in San Francisco, police said. The first involved a woman riding her bike in Golden Gate Park who was struck and killed by a car. 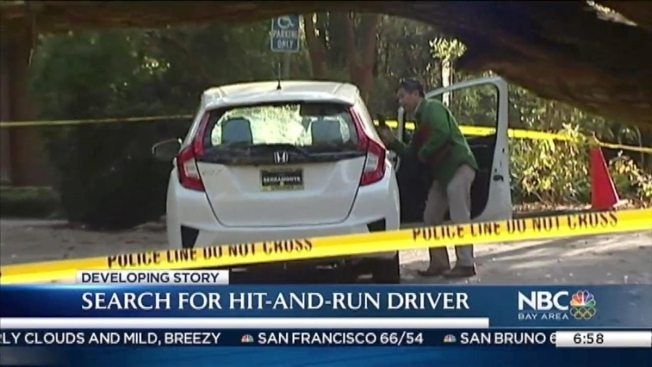 The woman was riding near 30th Avenue and John F. Kennedy Drive at about 6 p.m. when a white Honda Fit struck her, according to the San Francisco Police Department. Witnesses said the vehicle was traveling about 50-60 mph when it crossed over into oncoming traffic to pass another vehicle and hit the bicycle head-on. "I heard an impact, and I look and see the woman who had just passed us fly up, and I saw the bike fly the other direction," said Timmory Johnson. Two bicyclists were killed just hours apart in separate hit-and-run crashes late Wednesday in San Francisco, police said. Terry McSweeney reports. Witnesses said the driver slowed momentarily after the impact then took off in a hurry. The woman, in her 40s, was not responsive at the scene, despite the efforts of emergency crews to revive her. She was taken to a hospital, where she was pronounced dead. The vehicle, which had paper dealership plates, was found a few blocks away with a shattered windshield. Police said at least two people were in the vehicle, and they are searching for a second vehicle that may lead them to the person or persons responsible. While investigators were still at the scene of the Golden Gate Park crash, a second fatal hit-and-run collision was reported in the SOMA district near the intersection of Seventh and Howard streets around 8:30 p.m. In that incident, a driver allegedly ran a red light before striking a woman — who was in her 20s and on a bicycle — and fleeing the scene. Officers were able to locate and apprehend the driver, police said. Stephanie Chuang and Bay City News contributed to this report.